This infographic provides handy tips to expand your e-commerce business globally. 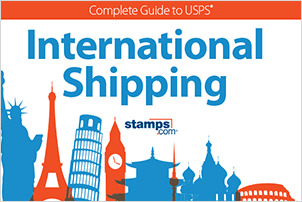 Learn about the rapidly expanding international e-commerce industry and how you can sell your merchandise internationally with the USPS. 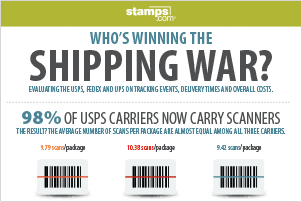 Learn about the findings of the USPS®, FedEx® and UPS® comparison on Tracking Events, Delivery Times and Overall Costs with this infographic. 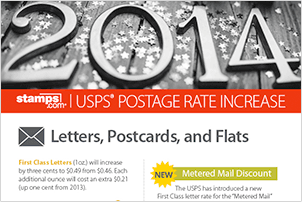 This infographic provides details on the 2014 USPS postage rate increase. Learn about the new rates for First-Class Mail® Letters, Priority Mail® and all USPS mail classes. 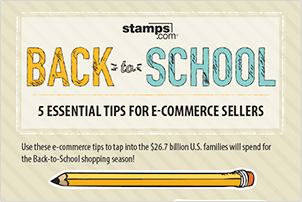 Make sure you are ready for Back-to-School, the second biggest sales period of the year with these e-commerce tips.